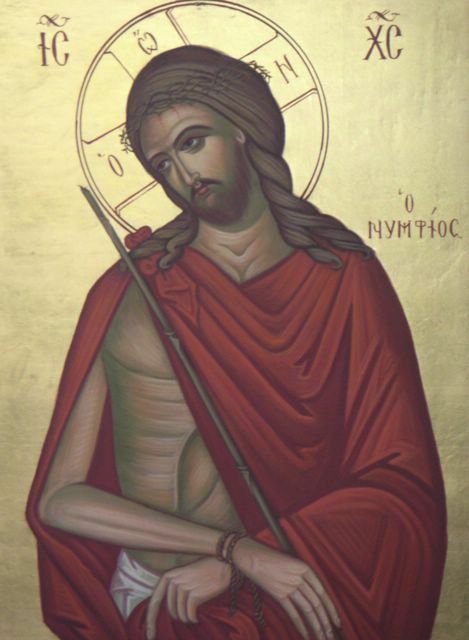 This year, Orthodox Holy Week Runs April 21-27. Pascha falls on April 28. We observe Bright Week April 29--May 4. Please see the monthly calendar here for service times. St. Maximus Parish, Denton, Texas, Welcomes You! Welcome to the only Eastern Orthodox Christian parish serving the greater Denton, Texas region and bearing witness to the fullness of the Christian Faith "once-for-all delivered to the saints" by Christ's Apostles and preserved in the Church until this day. Founded in July of 2001 at the direction of Archbishop Dmitri of blessed memory, a native son of Teague, Texas, and graduate of the University of North Texas (then Texas State Teachers' College), we are a mission parish of the Diocese of Dallas and the South of the Orthodox Church in America (OCA) under the omophor of Archbishop Alexander. We have been in our current location in a large, historic "Greek Revival" house on Oak Street since January of 2002 (a former fraternity house). We plan to build a proper church in Denton in the near future with God's help (you may view our plans on this site). The Orthodox Church in America is the autocephalous ("self-headed") daughter church of the Orthodox Church of Russia. Russian missionaries first brought Orthodox Christianity to the Russian territories in Alaska in 1794. They provided the native peoples with writing and translated the Scriptures and services of the Church into their languages. To the rest of these United States, Eastern Orthodox Christianity was a latecomer relative to Western forms of Christianity; only by the start of the twentieth century did the Orthodox Church have a significant presence here, primarily through immigration from Orthodox lands. Largely confined to ethnic enclaves, Orthodox Christianity was largely unknown to Americans. Now in the twenty-first century, the Orthodox Church has grown beyond its ethnic origins to become an indigenous and accessible witness for Americans of all backgrounds to the fullness of the Christian Faith which she has preserved for 2000 years. Yet the Orthodox Church remains unfamiliar to many Americans, especially in the South. We are Christians of many ethnicities living in North Texas who seek to follow Christ in the Church founded by His Apostles which He came to establish and against which He promised that the "gates of hell" would not prevail. We hold firmly to the faith they delivered to the Church as we seek to 'work out our salvation with fear and trembling' by following the path of Christ's commandments in the Gospel, including the commission to "make disciples of all nations, teaching them to observe all that I have commanded you." If you have never been to an Orthodox church and are curious to know more, do pay us a visit. If you are an Orthodox Christian living in Denton County and do not regularly attend services elsewhere, come worship with us, as we are your local parish and have been planted here to serve you. Choose the "monthly calendar" for the current month for services and events. Under "Media" you will find copies of the the weekly bulletin and of the Confessor's Tongue, which contains short articles for instruction and edification. Please feel free to stop by the church for a service or to talk. Regular services are in English, though the priest does speak Russian and offers confession in Russian as well as occasional services in Church Slavonic. Please look around our site and contact us with any questions or comments you may have. Click on the page "About Orthodox Christianity" to learn more about the Orthodox Church, her Faith, and her worship. More articles and many new links may be found under "links". If you would like to donate either to the building of our temple or the work of the ministry here in Denton, click here. If you are a member of another Orthodox parish planning to visit St. Maximus, we look forward to meeting you. Please call or email the priest ahead of time to let him know that you are coming, especially if you desire to receive Holy Communion (at batushkajfrederick@gmail.com). If you are not an Orthodox Christian, welcome! Though we may not offer you the Eucharist or any of the Sacraments, you are otherwise welcome to participate in our worship and activities. 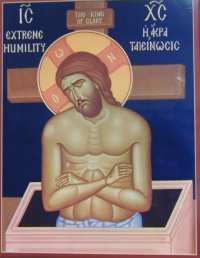 Orthodox Christians desiring to make a confession should look at the monthly calendar [link] and the weekly bulletin [link] to see when confessions are scheduled. When confession is scheduled, just show up at the service and wait in the church after the service--there is no need to call ahead. If the scheduled times do not work for you, then email (batushkajfrederick@gmail.com) or call or text the priest (940 293-3032) to schedule a time--but please check the scheduled times first. Holy Communion in the Orthodox Church is open only to Orthodox Christians who have prepared themselves with prayer, fasting, and a recent confession (within the past month or so). If you are not certain whether you should approach the chalice, please call the priest. If you are visiting from another parish and wish to receive Holy Communion, please let the priest know of your visit ahead of time if possible (940) 293-3032 or (batushkajfrederick@gmail.com).